I’ve been looking for Shade sail options in chch and seen the above image which I think is impressive, perfect for my needs. The site I am working on needs to be done with as little digging on site, and so concrete blocks is what I was thinking. I would like to know who I could talk to for advice on the structure and the basic installation requirements, any council approval that might be needed and the total cost for this, or a ball park figure is fine. 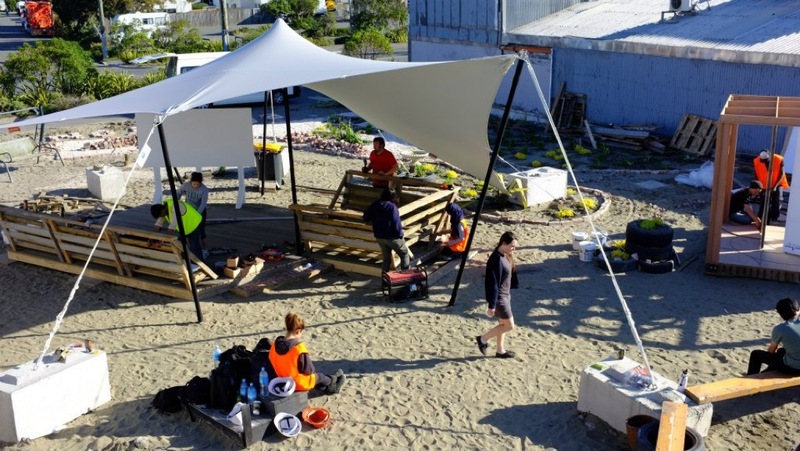 I am working on Matatini 2015 and am working with an artist who has a shade sail proposal only I am interested in working locally and utilising local knowledge and experience in this area, also I would be looking at more than one of these, as many as seven. any thoughts, contacts and advice is most welcome.